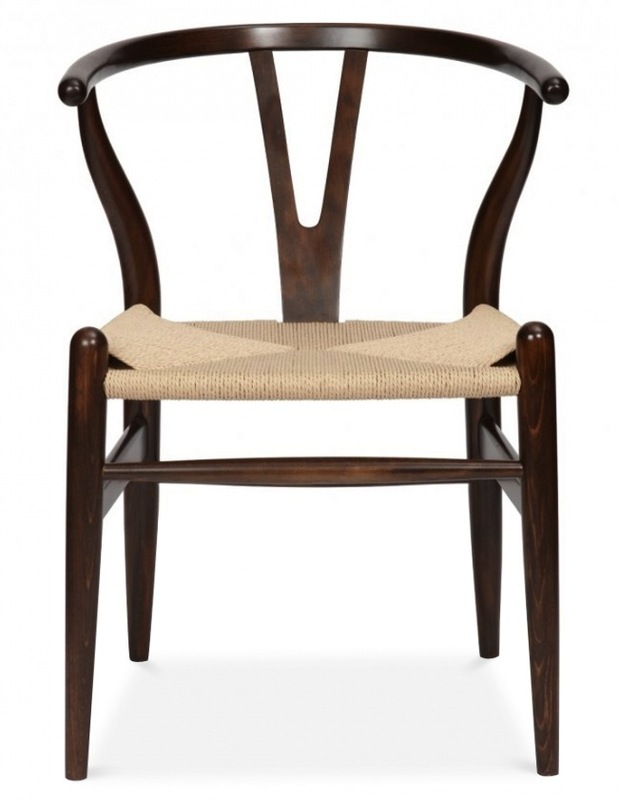 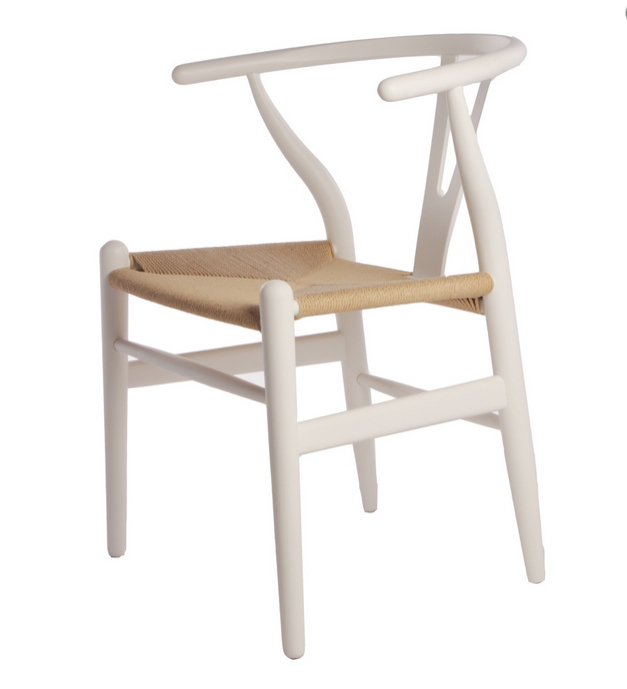 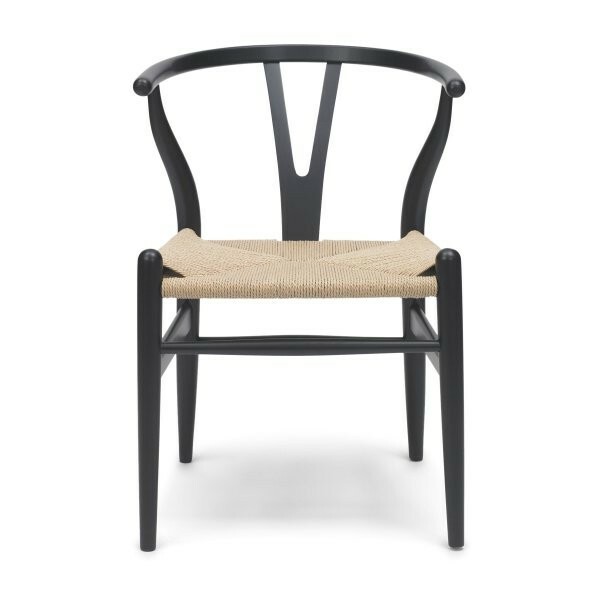 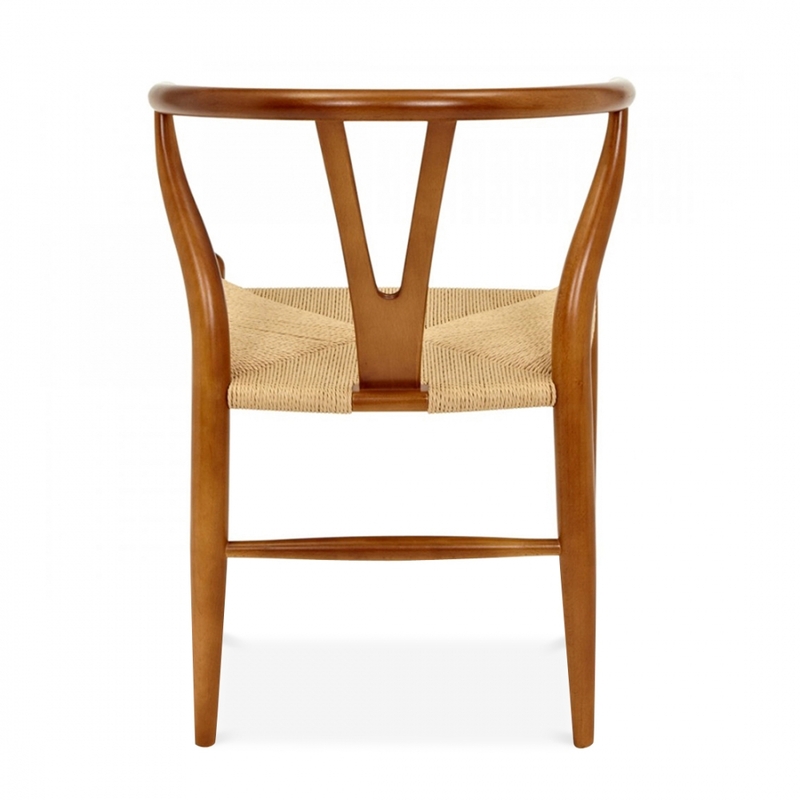 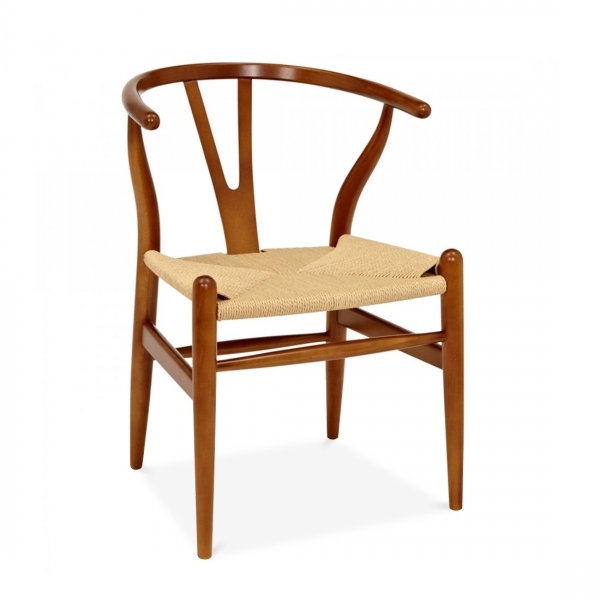 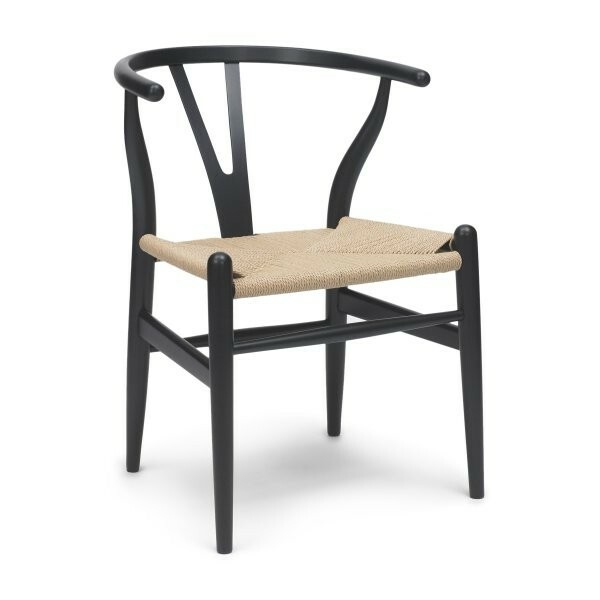 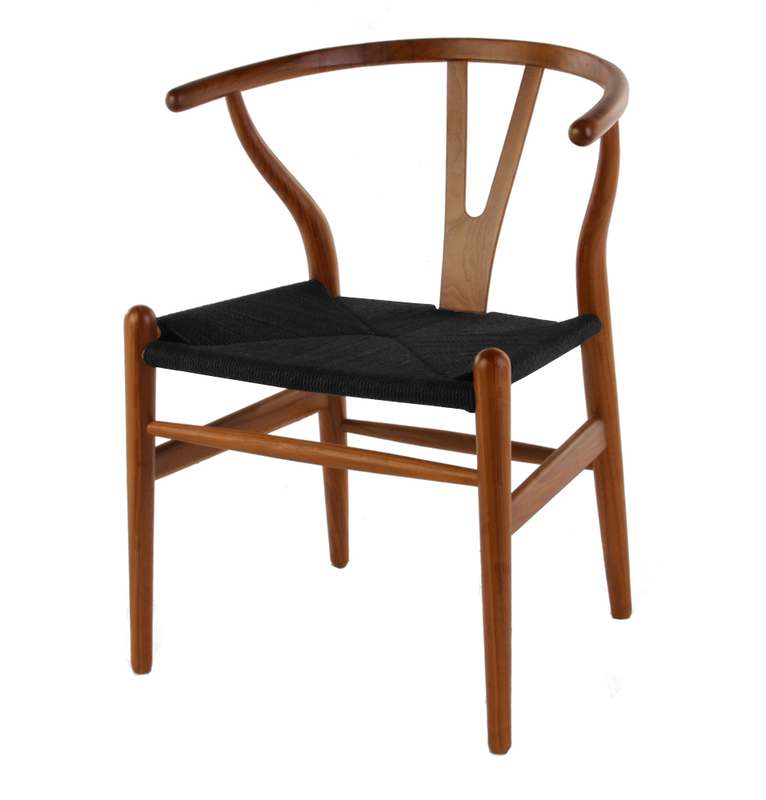 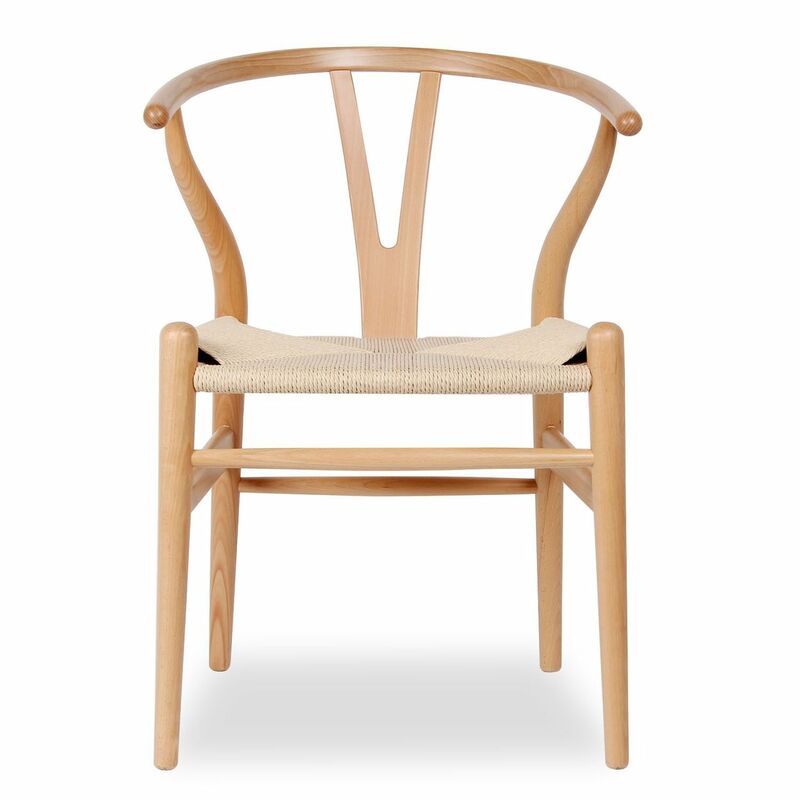 The Wishbone Chair is a very well know and popular chair designed in 1950 by Hans Wegner. 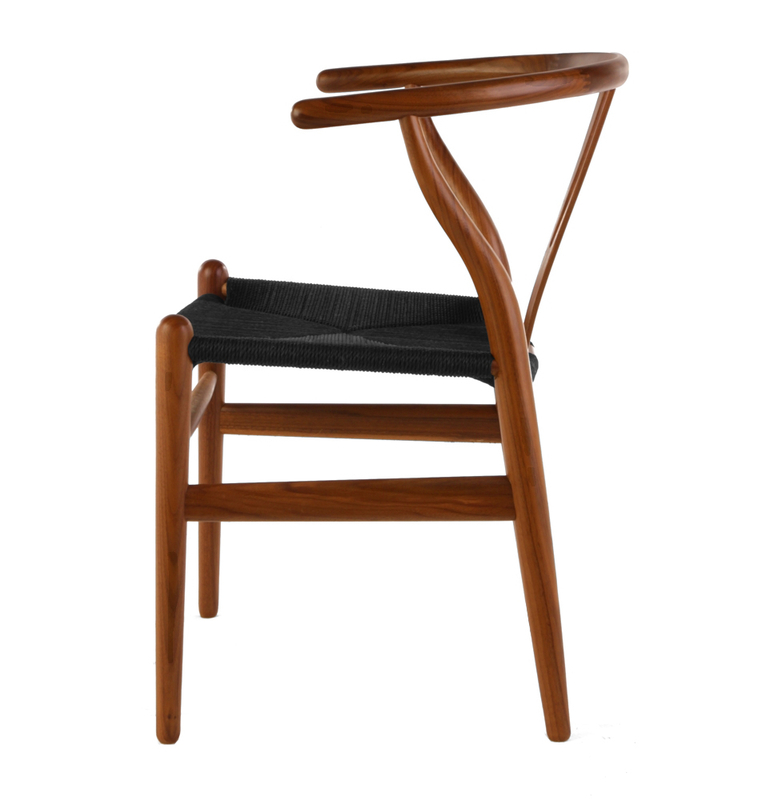 The Wishbone chair as it is often called due to the shape of the back, is a light chair and a relatively small piece of furniture. 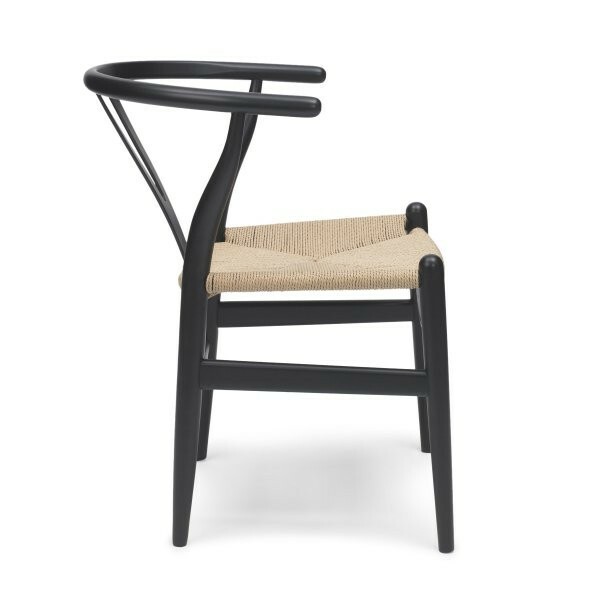 The curved hind legs and the semicircular top rail together with the elegant Y-back endows the chair with a gracious and welcoming air. 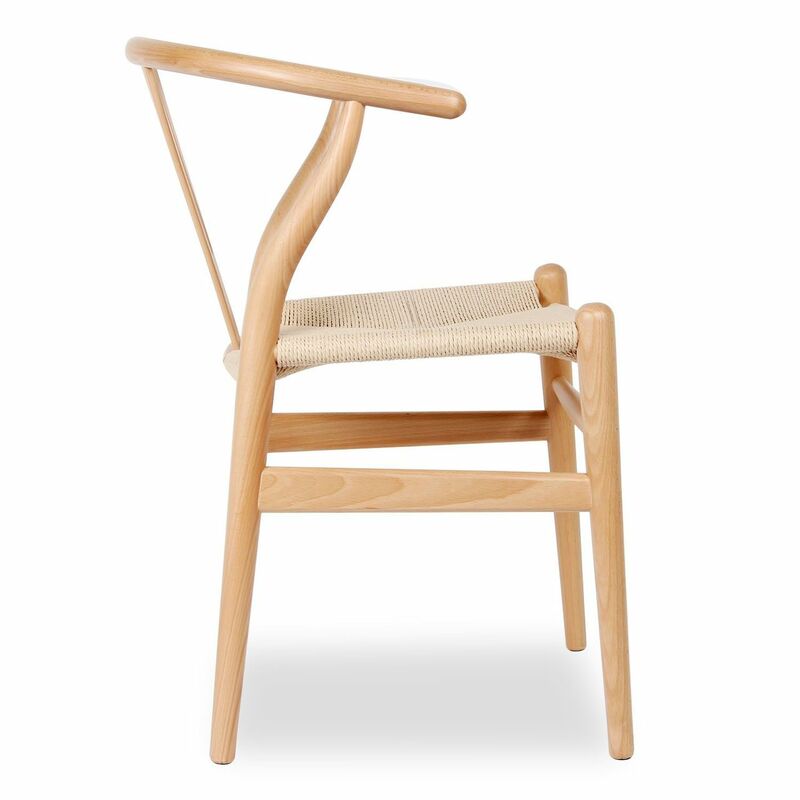 The Wishbone Chair sits well, is spacious and allows its user to easily change position. 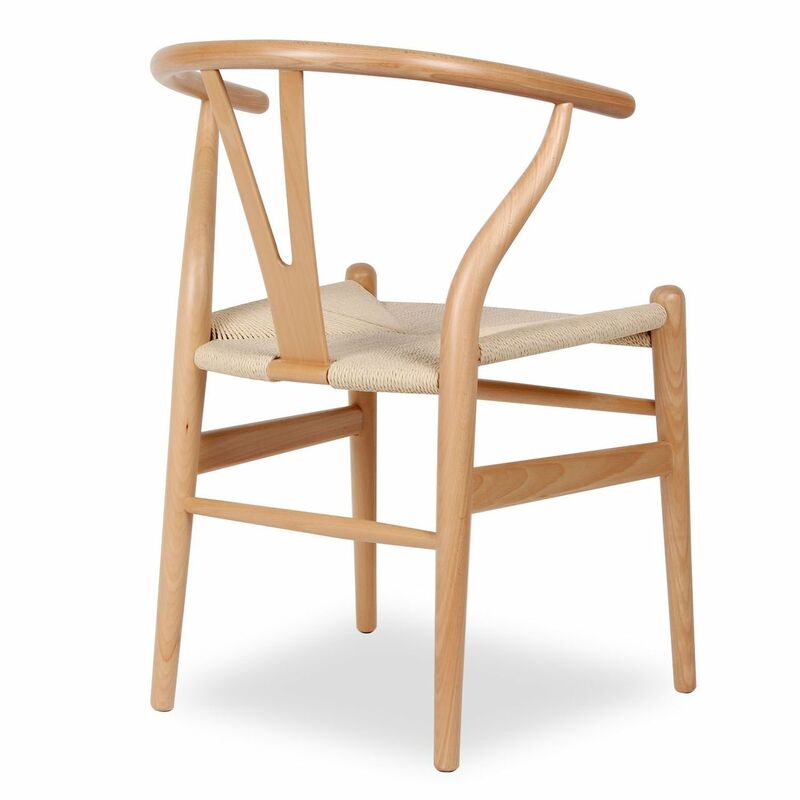 The back offers good support and most people feel comfortable in it for longer periods of time. 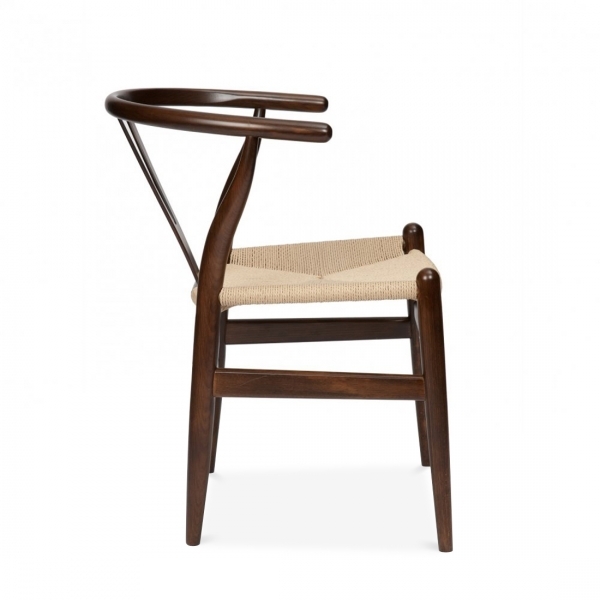 The curved top rail makes it easy to move around and arm rests are long enough to give adequate support to your forearms - the chair can also be pushed in close to a table. 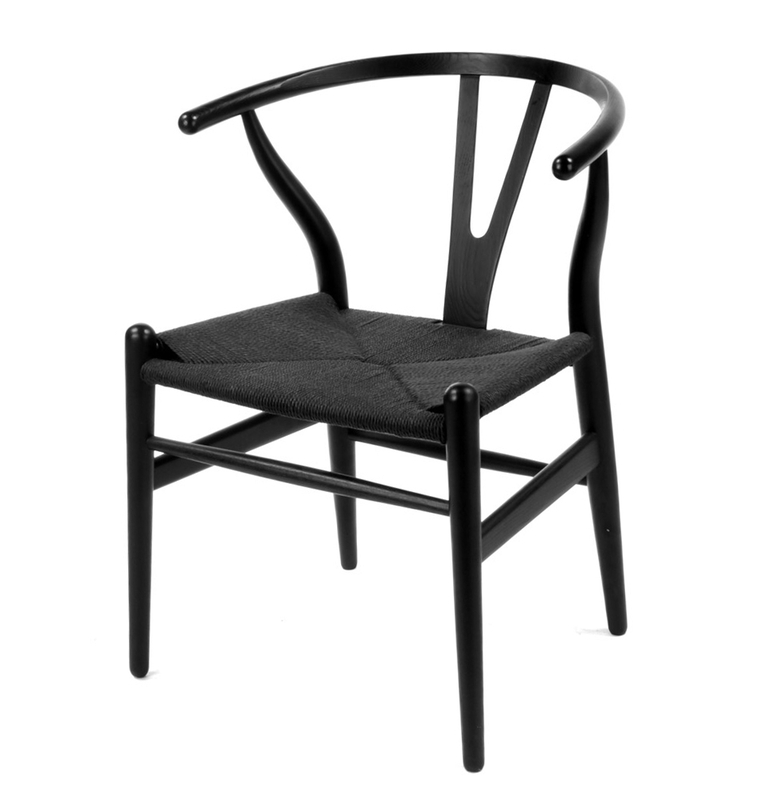 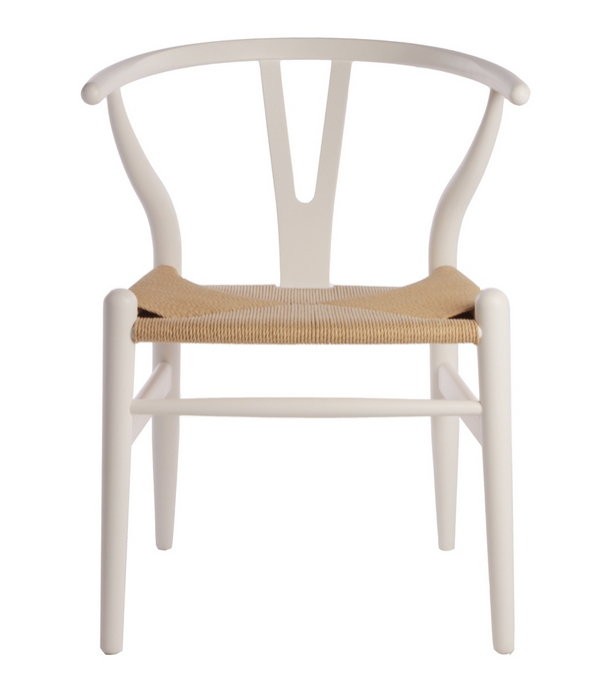 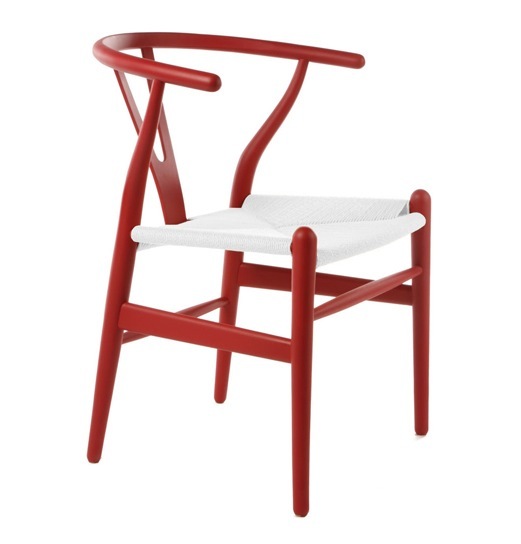 Today, the Y-chair has developed into one of Wegner's and Carl Hansen's most popular chairs. 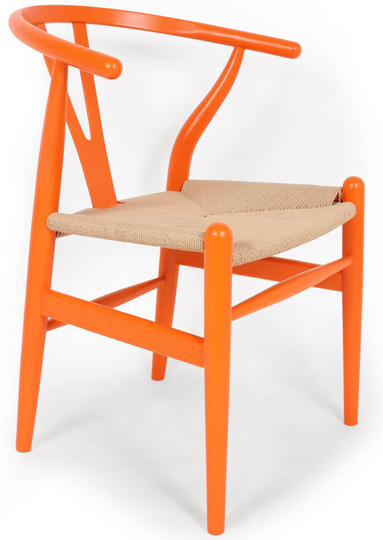 Availability: All Colors are In Stock, Ships Within 24 -48 hours !!! 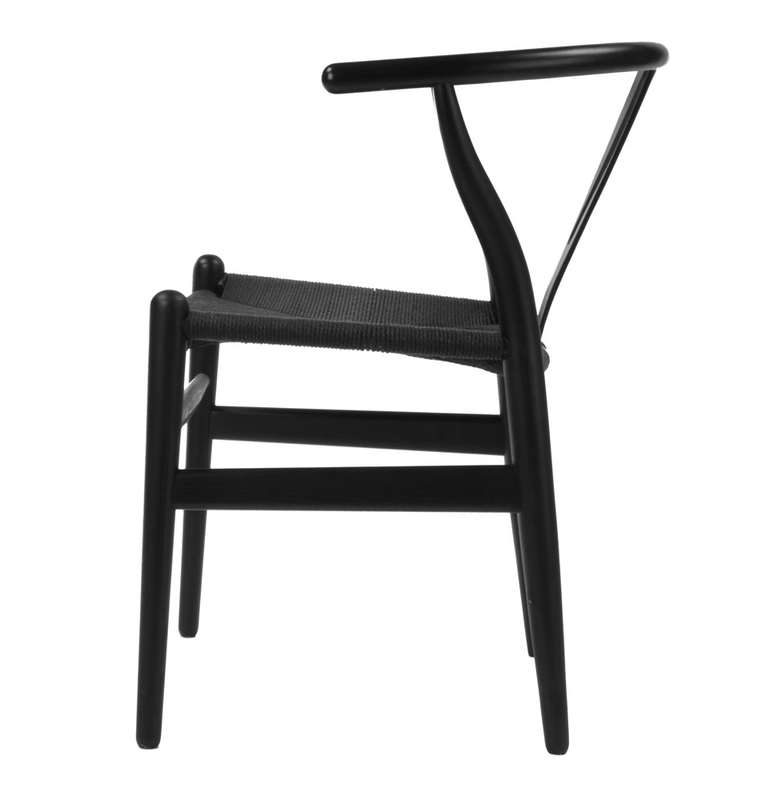 MADE TRUE TO THE ORIGINAL DESIGN, DURABLE, EXTREMELY COMFORTABLE!